Two Ukrainians were detained in Slovakia for the transportation of migrants to the EU on a hang glider. Mukachevo.net outlet reports. 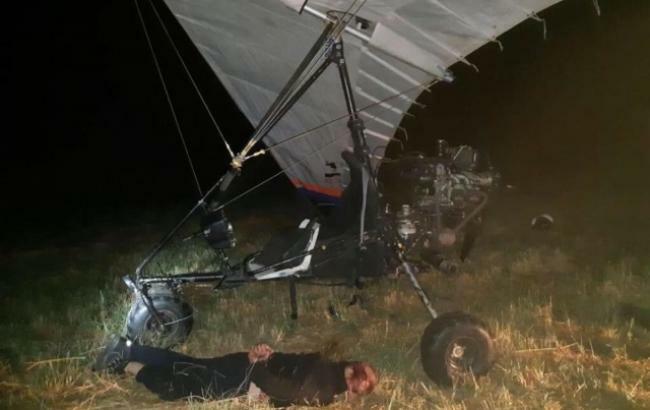 Slovak law enforcement officers found a hang glider for two people, which was flying from Zakarpattia to Slovakia. The special operation for detention was held in the area of the Slovak border village Hran on August 22, reads the message. According to the law enforcement officers, one of the Ukrainians offered resistance during the detention. Reportedly, the Ukrainian MIA claimed that 1.2 thousand illegal migrants were identified in Ukraine for two weeks, most of them are deported. According to Deputy Minister of Ukrainian MIA Sergiy Yarovyi, the illegal migration issue threats the State security. ‘The results of preventive refinement Mihrant show that the problem with the illegals is very serious in the State. The massive influx of illegal migrants reached a critical level, and soon it will threat the State security,’ the Deputy Minister of the MIA stressed.